The PASC19 Organizing Team is pleased to announce the publication of the PASC19 program and opening of registration. We would also like to remind you that applications are still open for the PASC19 Student Volunteer Program and that students selected as volunteers will be granted complimentary registration. We look forward to welcoming you to Zurich from June 12 to 14, 2019! The PASC19 conference focuses on interdisciplinary exchange in computational science and high-performance computing. The program offers over 200 talks in topic-focused and multi-disciplinary minisymposia, poster sessions, and 17 full research papers published by the Association for Computing Machinery. Program highlights include keynotes by Keren Bergman (Columbia University) on embedded photonic interconnect technologies, Thierry Poinsot (IMFT CNRS) on simulating instabilities in aerospace propulsion systems, and Deborah Weighill (ORNL), who will present Gordon Bell Prize-winning research into genetic architectures underlying complex traits in applications from bioenergy to human clinical genomics. The theme of the conference Exascale and Beyond will be explored during a panel with high-performance computing thought leaders from China, Europe, Japan and the US. And the mysteries of numerical ocean modeling will be revealed by Fangli Qiao (First Institute of Oceanography) who will provide examples of real-world applications in an interdisciplinary dialogue with Eleni Chatzi (ETH Zurich). The PASC19 program is available here. PASC19 will be held in little more than two months – right before ISC 2019 – and we would like to invite you to register for the conference. In order to take advantage of early-bird registration rates, please do so by May 3, 2019. We look forward to welcoming you to ETH Zurich – one of the highest ranked Universities worldwide – located in the charming city of Zurich, Switzerland. 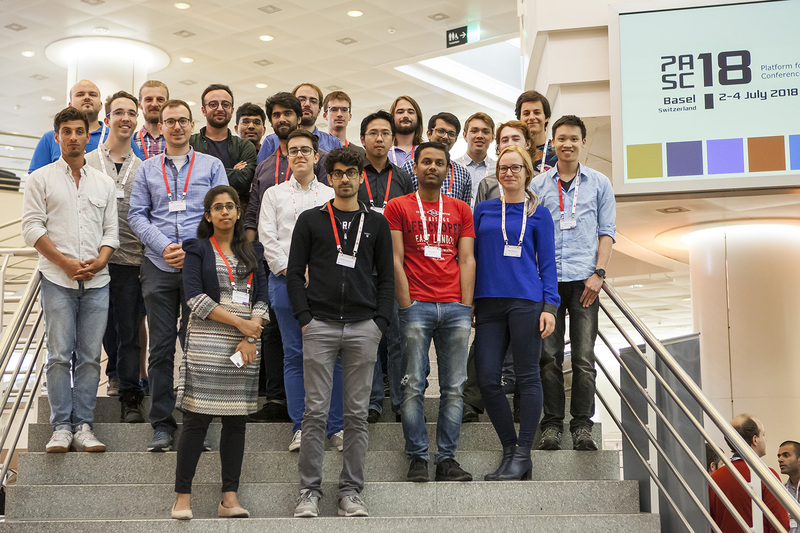 If you are an undergraduate, master’s or doctoral student in computational science or HPC and you enjoy working in a dynamic and enthusiastic team, don’t miss the chance to experience the conference as a volunteer for PASC19. If you are selected as a volunteer for PASC19 you will receive complimentary conference registration.